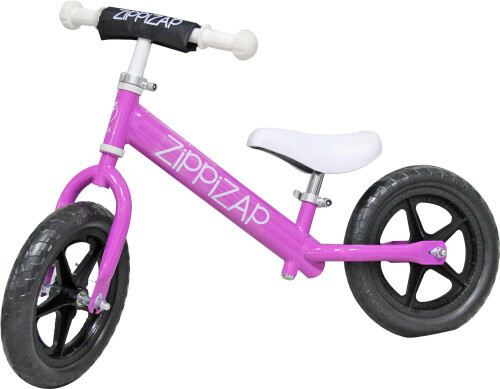 Hot purple frame, black wheels and white handlebars. 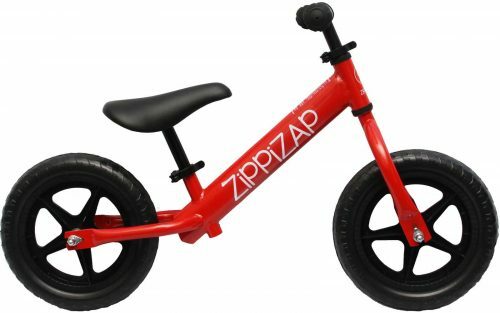 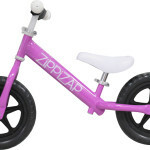 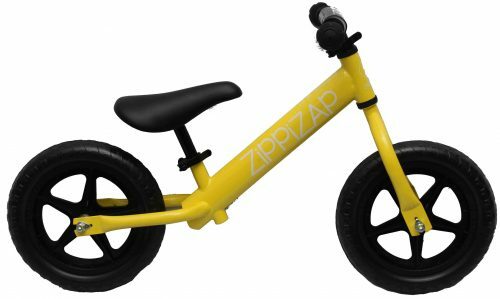 A ZippiZap balance bike is a high-quality, durable, light-weight, pedal-less bike for kids aged 18 months to 5 years old. 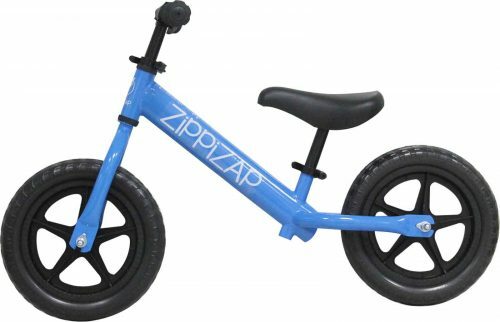 These balance bikes can go anywhere weather it be on gravel, grass or indoors. 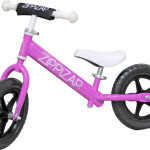 They are tough, resilient and possibly best of all, they are maintenance free. 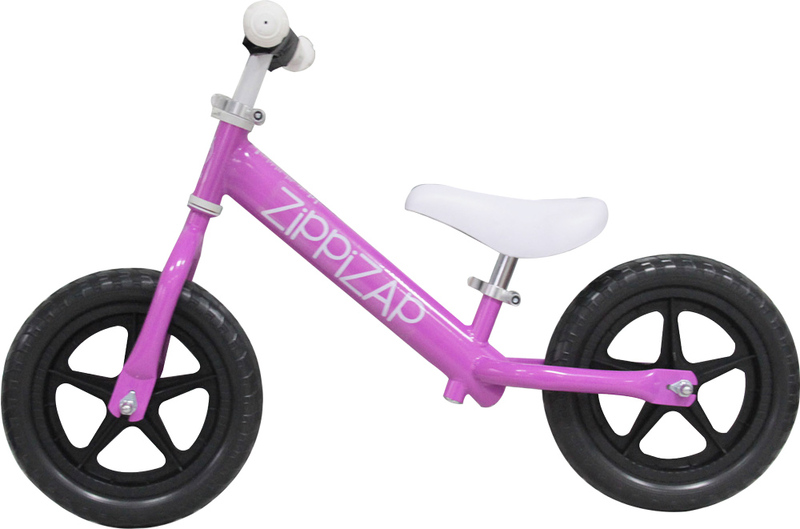 Designed in Australia and built with safety in mind, kids and parents alike will love their Zippizap balance bike.